The Declaration of Arbroath, sent by the barons and nobles of Scotland to the Pope on 6 April 1320, was a document which underlined the freedom won at Bannockburn and shaped political thought in Scotland and elsewhere thereafter. 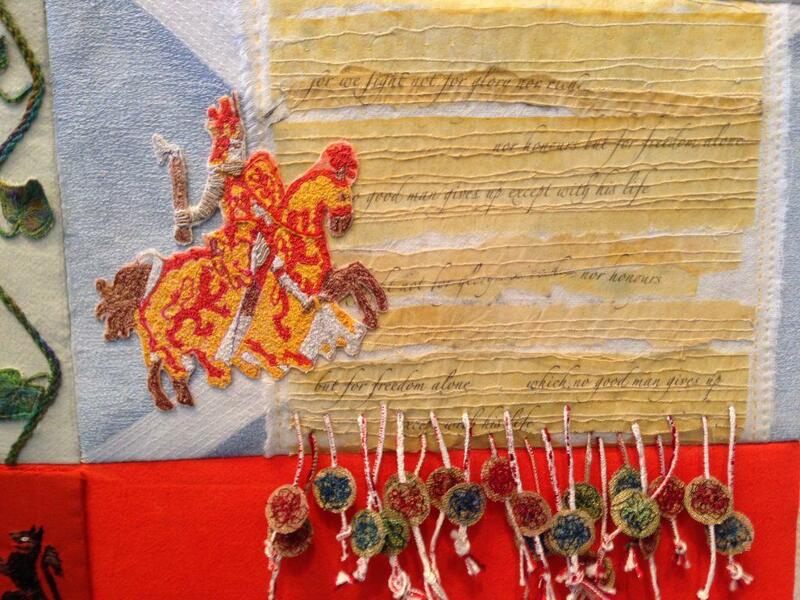 This version was stitched as part of the Smith’s 2014 banner by Stirling embroiderer Kirstine Higgins. On 15 May Kirstine’s husband, James Higgins, will be speaking on the epic work by poet John Barbour, The Bruce, which he has translated from Scots into contemporary English, “just for fun”. Barbour wrote his epic work in the 1370s, sixty years after Bannockburn, for Robert the Bruce’s grandson. It is composed in verse, in 20 books, and this new free translation in verse runs to over 400 pages. The work can now be read and easily understood in this special Stirling edition. 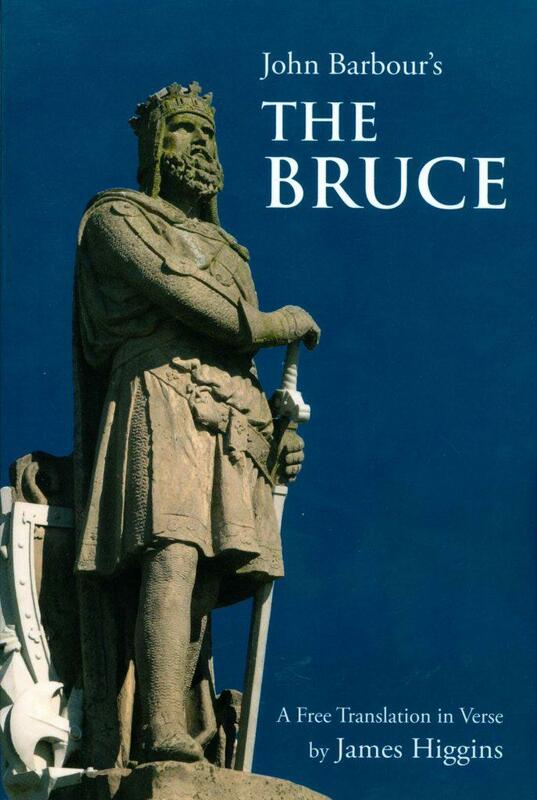 John Barbour’s Bruce is a main source for understanding the life and times of Robert the Bruce, and the talk by James Higgins at 12 noon on 15 May in the Smith will give a good introduction to this important work of Scottish literature and history. It will also be a celebration of the contribution of one Stirling family to Bannockburn 700.